May 18, 2009 Murder In Okoboji Paperback by Peter Davidson and Beverly Peterson. 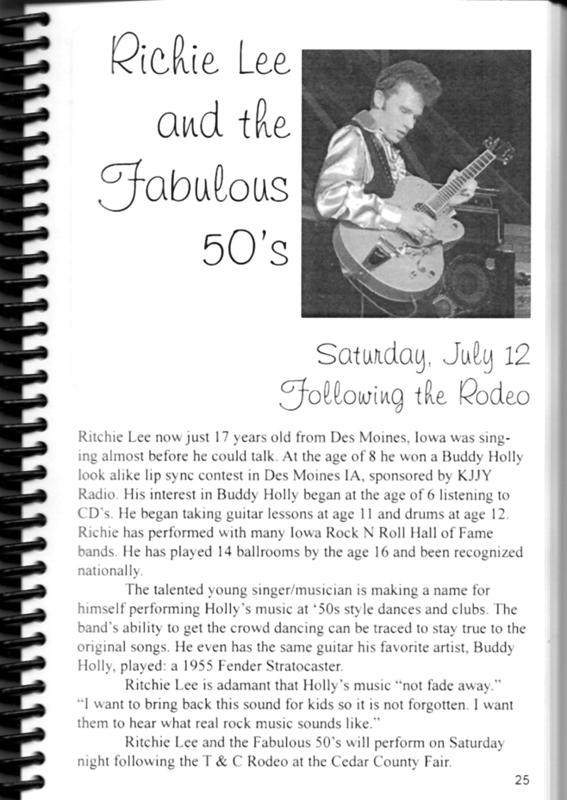 Richie Lee is mentioned in this book. "Murder In Okoboji," a new book by Peter Davidson, is the story of greed, deceit, mystery and murder. In this tale, things are rarely what they appear to be and there are many surprises as the story unfolds. 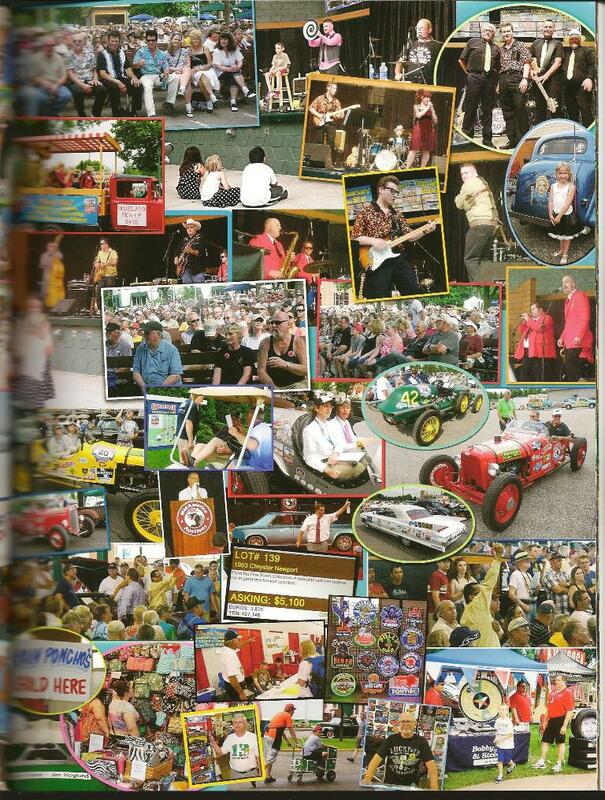 The story is set in the Okoboji resort area of Iowa and includes many actual businesses and real people. This was a very fun book to read. Lots of twists and turns as the story progresses. As the description says, things are often not as they appear to be. In fact, almost nothing is as it appears to be, which made reading the story great fun as there was one surprise after another. 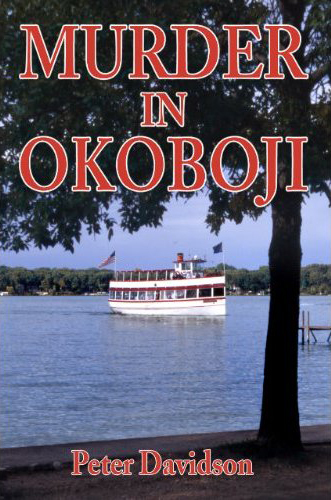 The story is set in the Okoboji resort area of Iowa and that there are many real people included in the story along with some fictional characters. Murder In Okoboji is available at many retailers including Barnes and Noble, through amazon.com and barnesandnoble.com. 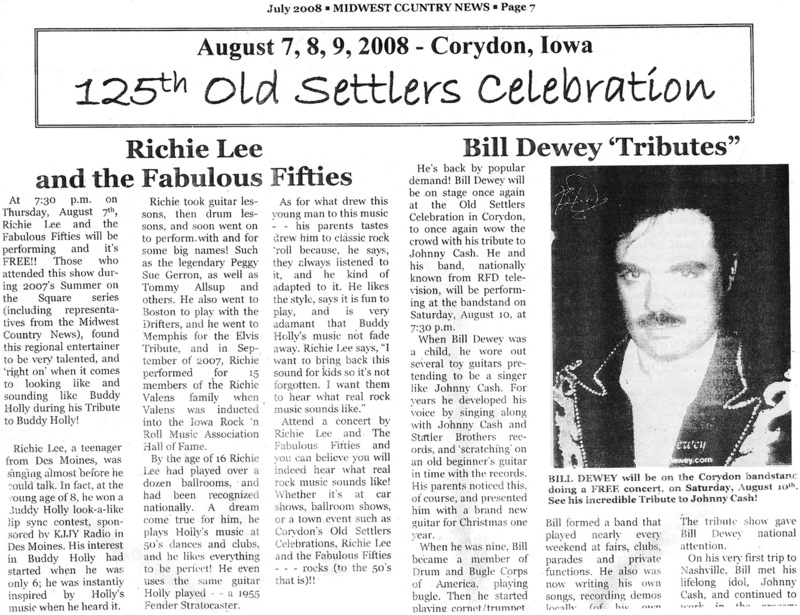 Click here for the Legends TV commercial Iowa dates of Naylor's Rockabilly Legends "Live Concert Series,"
Richie Lee performs Saturday evening in the Laramar Ballroom in downtown Fort Dodge as part of the Rock the Roof Road Show. 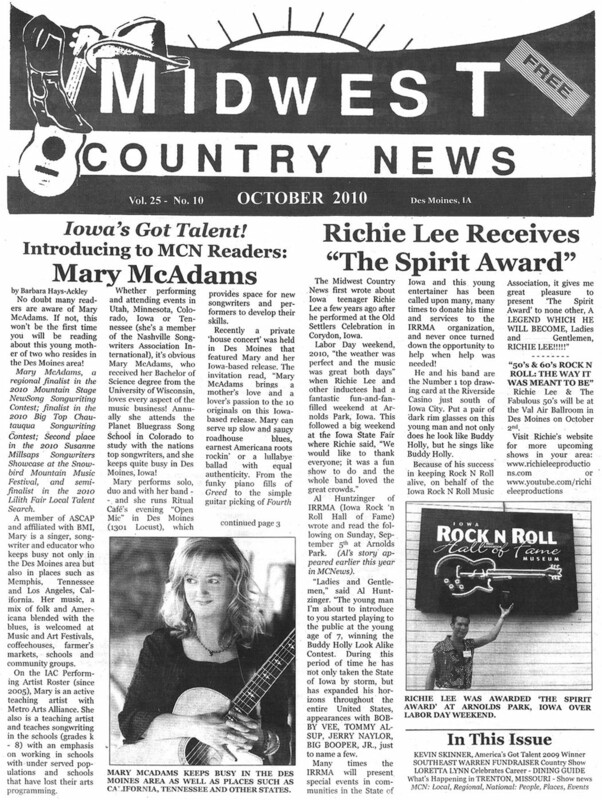 Besides the evening’s entertainment, musician Dale Black was presented with a Lifetime Achievement Award from the Iowa Rock ’n’ Roll Music Association. Black once played the Laramar 100 consecutive Saturday nights. 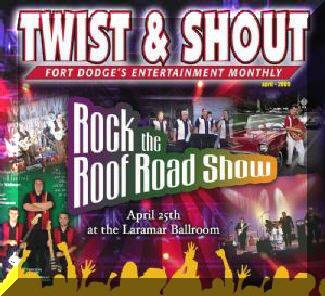 On the cover the Twist and Shout newspaper from Fort Dodge, Iowa this month you’ll see a few photos of some terrific rock and roll bands, who are gearing up for the Rock the Roof Road Show which will be held at the Fort Dodge Laramar Ballroom on April 25th. 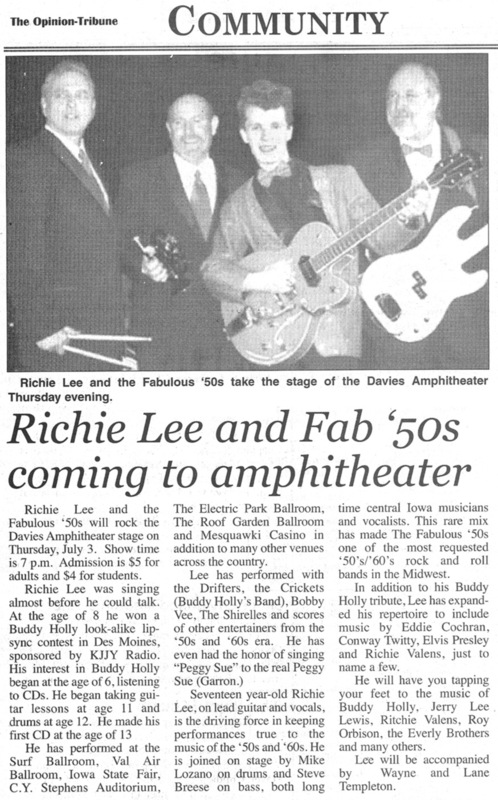 This show will feature not only three rock and roll Hall of Fame Bands, it will also feature Richie Lee, The Senders and the Generations of Rock n’ Roll‚ group. It sounds like just a great way to enjoy the music we all love so much. Make plans now to attend. Feb 2, 2009 Monday night from the Surf, you watch WCCO-TV at 10:00 news, and will see Richie standing in the background. A video tour of the Surf Ballroom including a 360° panoramic view of the backstage green room with wall-to-wall autographs. How Buddy Holly, J.P. “Big Bopper” Richardson and Ritchie Valens are still influencing music today. An hour-by-hour, mile-by-mile look at the fateful night and plane crash. A “Where were you?” feature to share your own memories and read others’ memories. 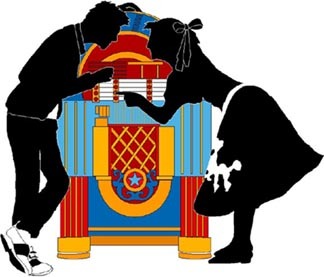 Exclusive tribute recordings of two Buddy Holly classics by Iowa’s own Poison Control Center. Myths about the crash, official reports extended video interviews and more. 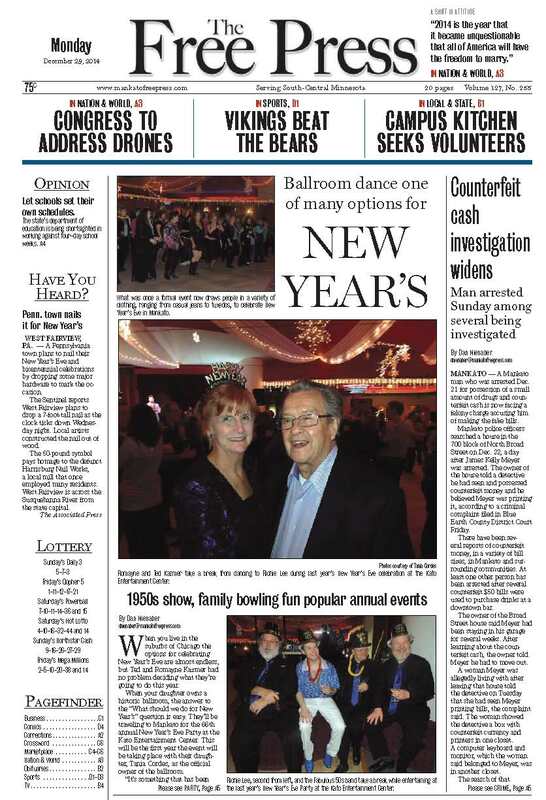 In addition, The Des Moines Register will share the Buddy Holly story in the next four Sunday print editions. 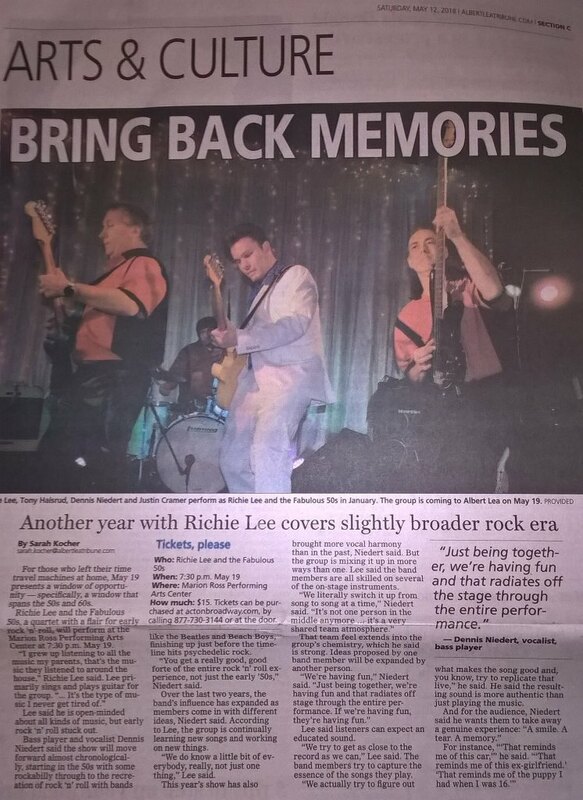 The Des Moines Register will also welcome our own local “Prince of Rock ‘n’ Roll,” Richie Lee on Monday, January 12. 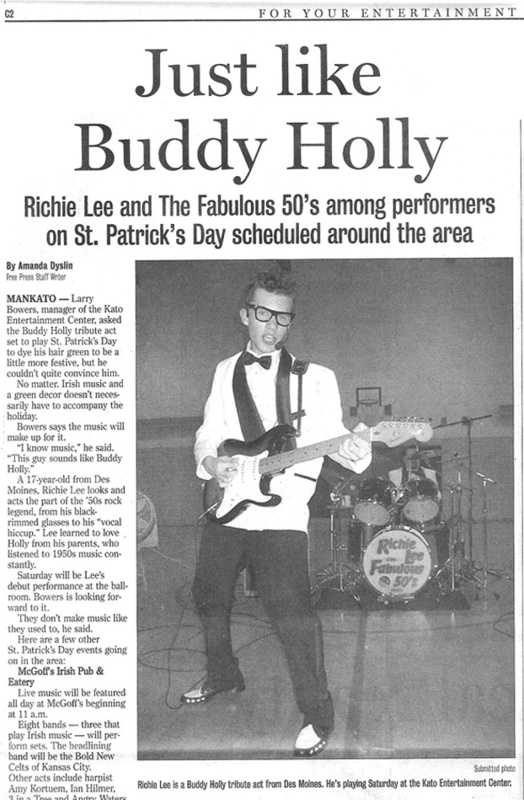 Richie will play a fabulous set of Buddy Holly classics from 12:30-12:45 p.m. in the skywalk lobby. 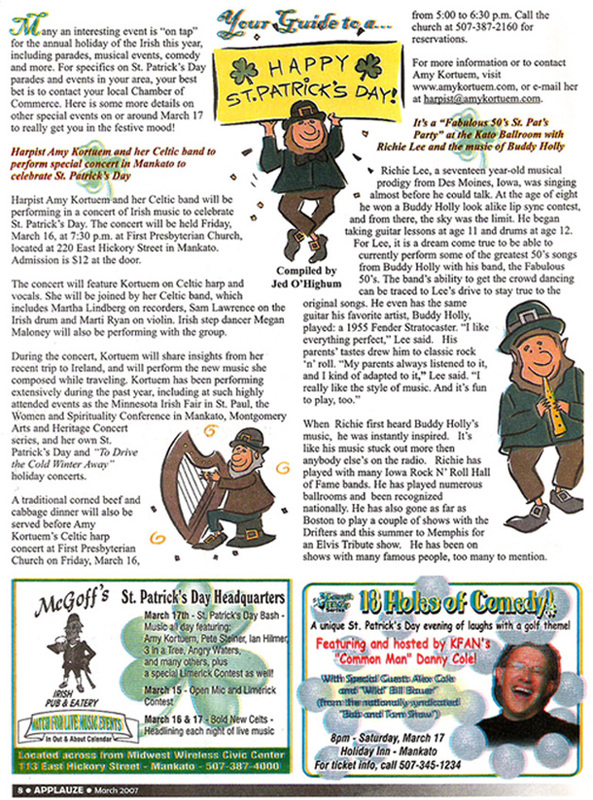 The Des Moines Register is a multimedia company that publishes The Des Moines Register, Juice, a monthly free-standing publication, nine community newspapers, over 15 custom publications and many Web sites including DesMoinesRegister.com, dmJuice.com and DesMoines.MomsLike.Me.com. The Des Moines Register is owned by the Gannett Co. international news and information company. 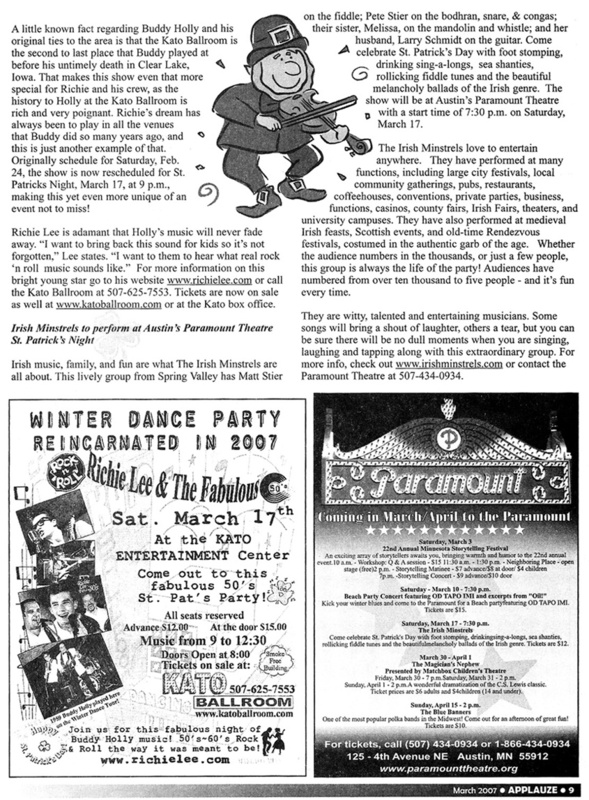 Nov 21, 2008 Music of the 50's Keeps on Rock'n Published in the Twist & Shout, page 18 and 23. 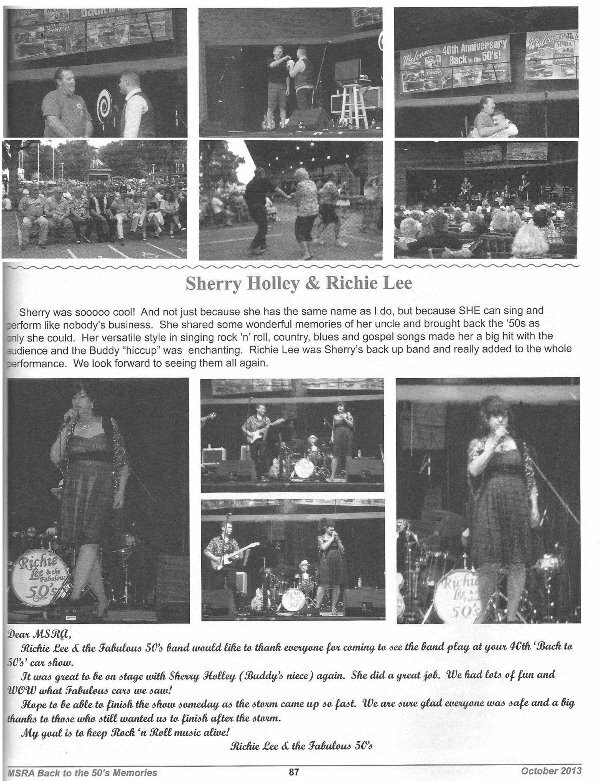 Nov, 2008 Music of the 50's Keeps on Rock'n Published in the Twist & Shout, page 18 and 23. 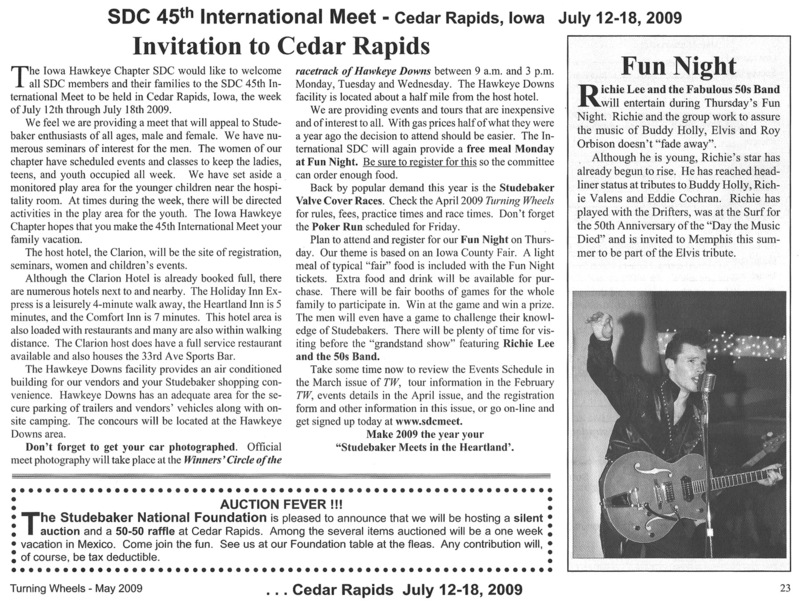 Sept 6, 2008 Teen rocks classic songs "Crowds loved him on Labor Day, now Lee is back" Published Discover Magazine from Sheldon, Iowa at Blue Water Cabaret in Arnold's Park, page 13. January 21, 2006 Oh, boy! Des Moines teen keeps Buddy Holly's hits hot!